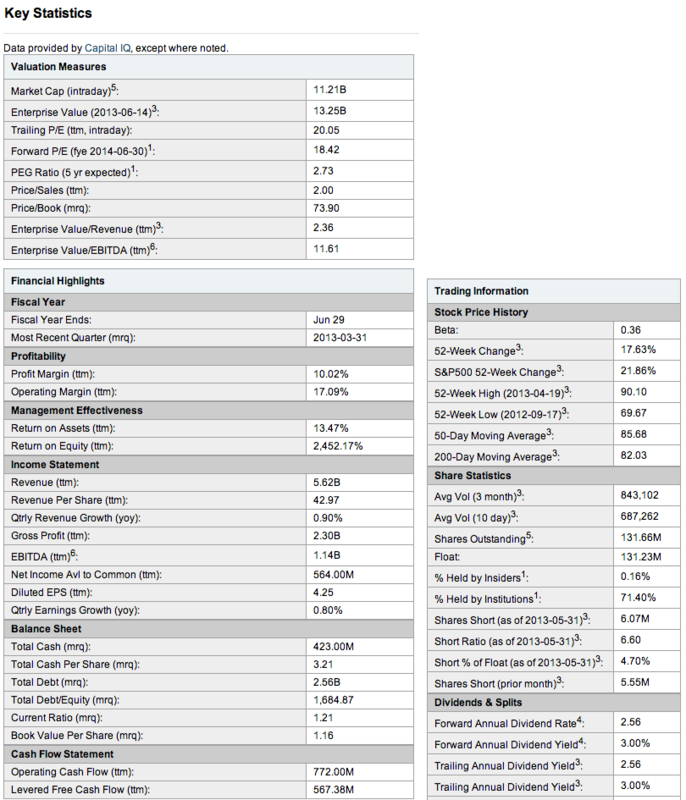 Investing Series: Where do you find all that juicy financial information on stocks? | Save. Spend. Splurge. Home › Money › Investing › Investing Series: Where do you find all that juicy financial information on stocks? 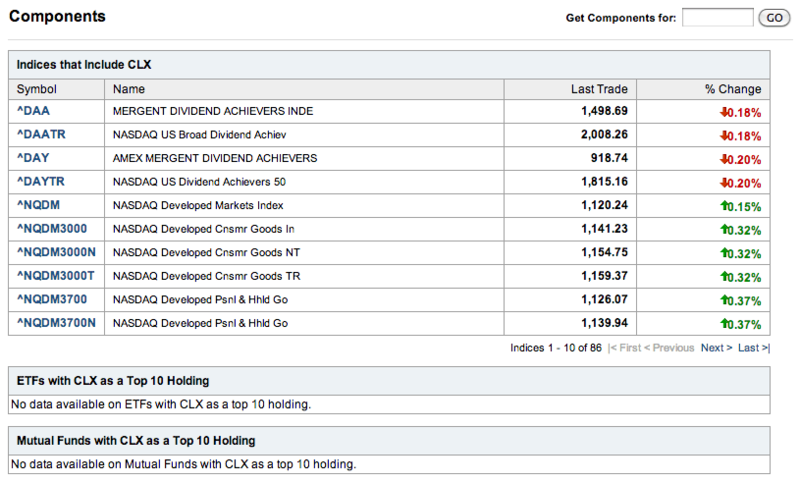 Investing Series: Where do you find all that juicy financial information on stocks? So now that we’re starting to get more into ratios and technical analyses of stocks, you might want to learn where all the shortcuts are, and for most stocks, their names are: Google Finance and Yahoo Finance. NOTE: Incidentally, if you are interviewing for a company for your career, this is also a good place to come to to take a look at how they’re doing and what their strategy / vision is. You can go to Google and Yahoo and pretty much find all of the technical number crunching done for you. A misconception you might have is that you will need to know the company ticker symbol (e.g. 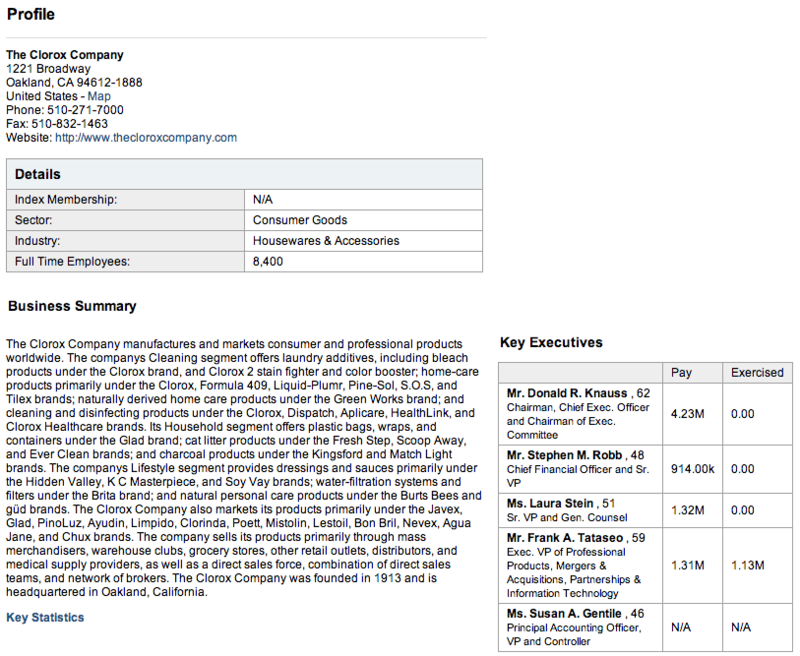 GPS is The Gap Inc.), when in fact, Google is smart enough to know you search by names more than by ticker symbols, so you can just go to the top and type in part of a company name to get a quick search result. 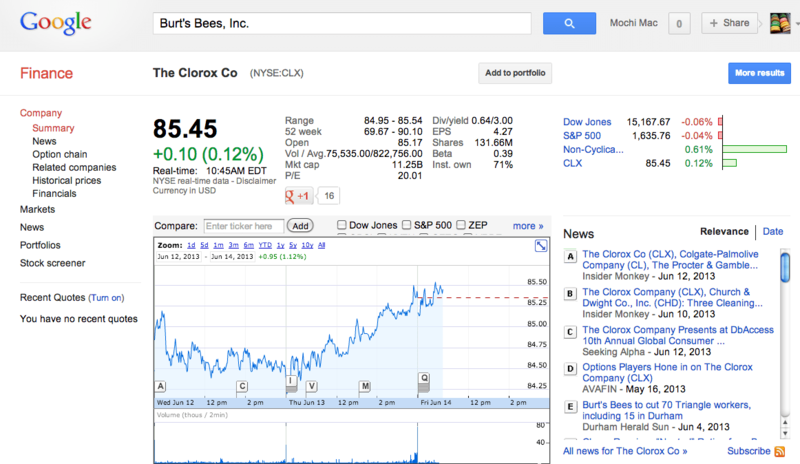 You will notice that I chose Burt’s Bees, Inc, as a name to search, when in fact they are owned by The Clorox Co. The quick stats about the company will be listed right at the top in Google. Market Cap: What does market capitalization mean? Depending on what you’re looking for, you will want to either look at recent Quarterly Data (every 3 months), or Annual Data (my preferred choice), and then look at their Income Statements, Balance Sheets and Cash Flows. Yahoo Finance is a little (okay a LOT) uglier than Google Finance, but it is far more robust in terms of technical stats, which is why it’s still breathing. Well it’s so ugly it hit every branch on the ugly tree on the way down to become fugly. 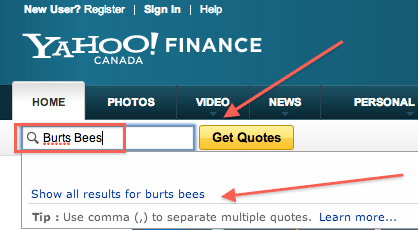 Using the same test as above with Google, you can’t just type in Burt’s Bees and get redirected gently to what you’re really looking for — Clorox Co. that owns Burt’s Bees. Once you’re in however, it’s all gravy. I kind of prefer the way they’ve laid out the stats more than at Google, because for instance with Div & Yield, they put it as a number and then the % in brackets so you don’t have to guess what that 3 means. 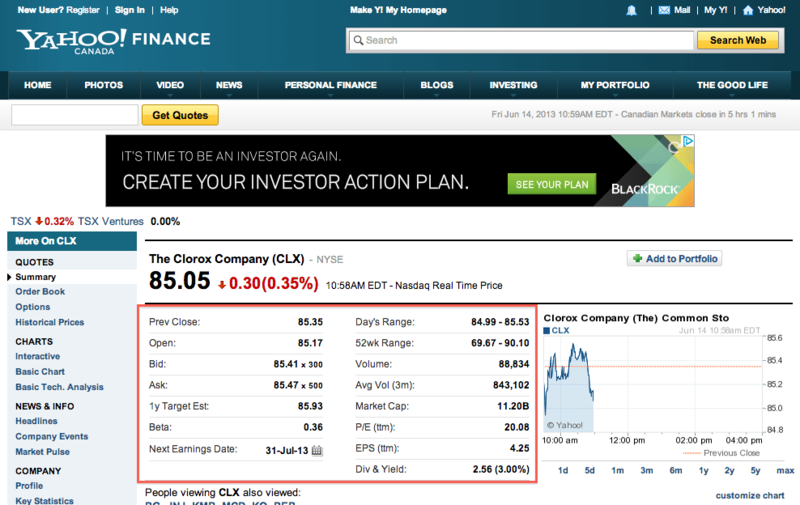 I also like that cute little graph on the right that shows how the stock is doing from close to present time. CHARTS – All of the links here, I enjoy interactive charts. OWNERSHIP – Ignore 99% of the time. Unless I see a red flag somewhere. 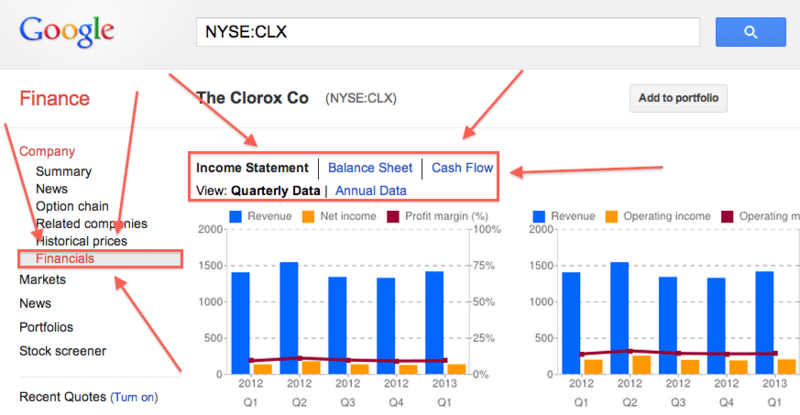 FINANCIALS – Same as Google Finance, but Google is prettier. I like this particular section the most. If you don’t know the company and what it does, this is a good place to start. I REALLY like this link. It has all the ratios done for you and you just need to plug them into your spreadsheet. Certainly, you could run a few numbers yourself just to be sure they’re correct, but they’re fairly accurate, give or take 0.50 billion. This is a good place to get information that is otherwise not given. It’s also what is reported to the government, so sometimes it holds interesting bits of info. Sometimes the competitors chosen make no sense, but in this case, Proctor & Gamble, and Colgate-Palmolive are pretty good benchmark rivals. This is so that you know how their industry is doing overall, and it even shows you market caps of other companies in this industry. 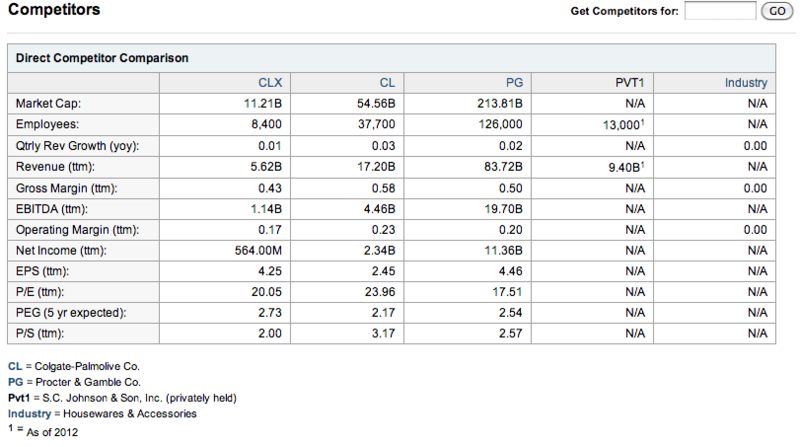 They also show you what indices hold that company and how those are doing as well. That’s about it. 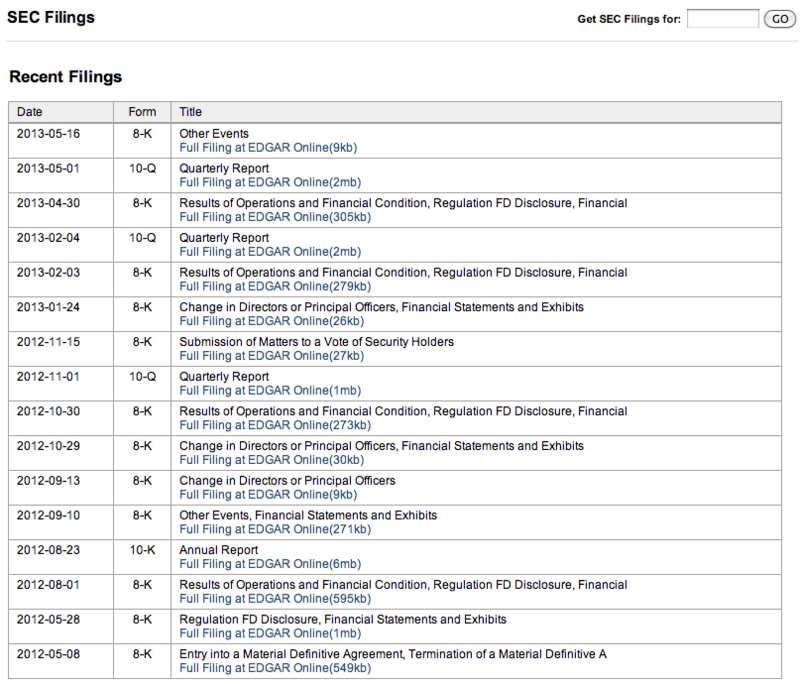 I use Google Finance and Yahoo Finance to glean most of my info, to weed out the company or to put it on a short list. If you want another site to read about headlines and opinions, try Seeking Alpha. Err.. I am not sure I understand, you can only invest with your company? Is that it? I’ve never used Google Finance (I didn’t even know that was a thing.. god I really need to get out more on the internet). I check Yahoo finance a lot. I read so much Investopedia when I was a new investor just to understand what to look for. Great post — great series! 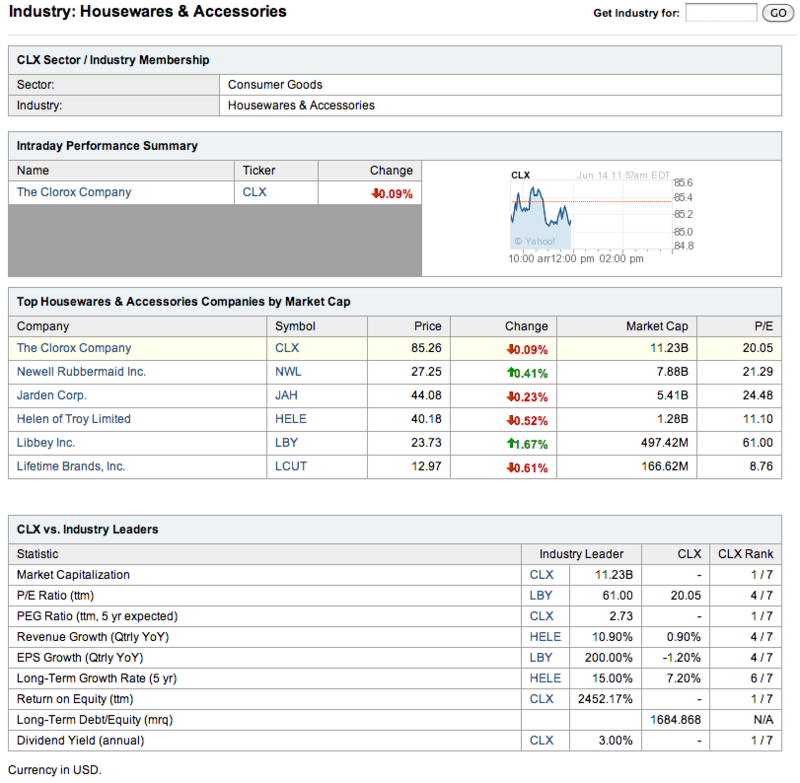 Google Finance is not as robust as Yahoo Finance but I prefer the layout.